Why protest Chipotle? We often get this question. On the face, Chipotle seems like a “good corporation.” They’re at least starting a conversation about animal welfare, right? And heck, they’re offering us a vegan burrito! But there are seven deadly sins, behind the glitzy marketing, that make Chipotle perhaps the most important target in the animal rights movement. 1. It’s one of the largest and fastest-growing animal killers in the world. It’s a $16 billion company -- the third largest publicly-traded restaurant company in the world -- and has grown by 1000% (yes, one thousand percent) in the past five years. If you’re concerned about animals being killed for food, this is where all the action is. Even just slowing Chipotle's growth by a few percentage points would imply tens of millions fewer animals slaughtered in its engine of violence. 2. It’s lying to the public. Its corporate motto is “Food with Integrity,” and it deliberately uses terms such as “natural” and “responsibly raised” that have no regulatory significance. It shows the world happy animals in sunlit fields. 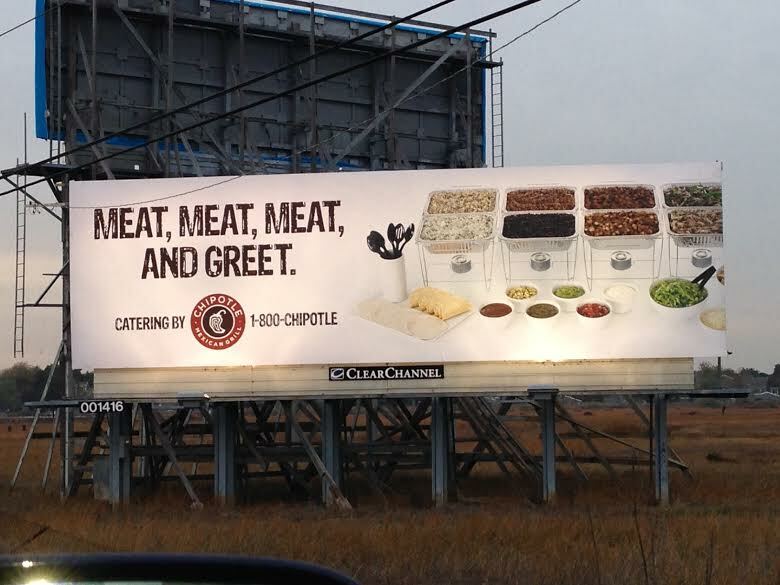 Yet even cattle industry publications point out that Chipotle sources from brutal, gruesome factory farms. 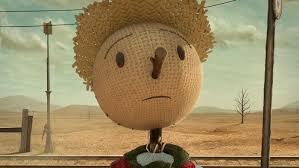 The Chipotle Scarecrow: innocent look but deadly core. 4. It tries to buy off activists… and often succeeds. Despite its massive pro-meat propaganda machine, Chipotle has somehow earned supporters within the animal rights movement. It's an invasion of movement snatchers. And we can't let them succeed. Because if they do, they will have bought out our movement's greatest strengths: our integrity and our soul. They forgot to point out the violence. 6. It makes killing animals more profitable. The average Big Mac costs $3.50 and hardly makes McDonald's a dime. Chipotle, in contrasts, charges almost $8 a burrito -- and makes a huge killing off the premium. 7. It’s framing the debate as one of "food choice." But it's not food. It's violence. And it's violence that has to stop. We'll discuss these seven factors -- and perhaps just as important, what we can do to stop their dangerous impact -- in our open meeting on February 16. 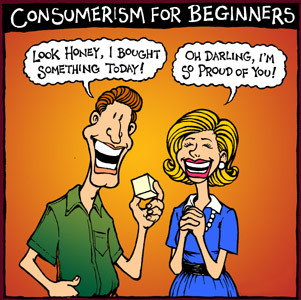 Veg*n Consumerism: Panacea... or Pitfall? One of the complaints we face, in campaigning against Chipotle, is that we shouldn't target a restaurant that has a vegan consumer option. "After all, they're helping people along, step by step," critics say. "Why not go after McDonald's instead?" But when you unpack this criticism, you see that even the critics -- who perversely favor vegan consumer options above all else -- should be our campaign's biggest supporters! First, even if one thinks the vegan option is important, our campaign is perhaps the best way to ensure that the vegan option stays. In the face of public pressure and scrutiny, the company (which markets itself as friendly to vegans) could hardly abandon its vegan burrito now, in a moment when its vegan-friendly credentials are being challenged. Indeed, it's at least as likely that it will seek to add even more vegan options to satisfy the protesters, and further prove to progressives and activists that they are a "good company." Chipotle -- which has invested tens of millions into its image as an ethical company -- and its ilk are precisely the companies most likely to respond to a pressure campaign by adding more options. Second, veg*n options are not a promising platform for animal liberation. This is not theoretical. We can look directly at a real world counter-example: India. The country, which probably has more vegetarians than the rest of the world combined, has doubled its meat consumption in the past 10 years. Young vegetarians are now, in NPR's words, the new pariahs -- dismissed as needlessly traditional and excluded from a new symbol of status. Vegetarianism, in short, has no natural moral trajectory. When framed as a personal choice, as in many parts of India, it is not a strong platform for growth. Animal liberation, in contrast, is such a platform. Indeed, without a strong liberationist movement to culturally construe and interpret veg*n options, those options serve no function for animals whatsoever. They are not a panacea, but a pitfall. The danger is the same one that William Lloyd Garrison pointed to in advocating for (human) slaves almost 200 years ago. Transforming an urgent social justice movement into a tawdry consumer movement ("Please buy fewer slaves! You'll be such a good person if you do!") re-establishes the "anchoring point" for the movement from "We have to stop all violence" to "let's reduce violence a tiny bit -- but realistically, maybe not at all -- because we can't really expect anything more." That normative anchoring point, in turn, will transform the number and type of social messages that are circulated in local communities by activists, i.e. the crucial conversations on the ground between friends, relatives, and co-workers. They're suddenly not talking at all about (much less judging their peers for) the horrors and injustice of animal holocaust -- but instead about adding a vegan option, or a "humane meat" burrito, to the menu at Chipotle. The movement's demand for change for animals is lost in a spiral of vegan self-indulgence. And individual supporters of the movement are dis-empowered from speaking more confidently against animal abuse. "Don't be one of the militant vegans," people say. "After all, you got your vegan burrito, didn't you? Stop complaining!" - Public dialogue is dampened or eliminated because the changes demanded, and controversy generated, suddenly become less compelling. "Protesters storm into the streets to demand freedom" is an inspirational story and effective meme. "Protesters make polite request for a vegan burrito" is not. - To the extent public dialogue is created, it fails to sustain itself because multinational corporations and other institutions manage to convince the public, and even activists, that the problem has been resolved by offering humane alternatives (vegan or otherwise). Campaigns, just like any good story, require conflict and continuing tension. Indeed conflict and tension are what feed an effective campaign/movement cycle. Efforts to mediate these sorts of conflicts douse the fire of a movement with cold water. Vegan consumerism, by offering faux alternatives and compromise, can have exactly that effect. - Even to the extent that alternatives ARE necessary, those that are created under the umbrella of vegan consumerism are susceptible to backsliding. The upshot: this isn't a consumer movement for vegans. It's a justice movement for animals. And don't let the trappings of vegan consumerism distract you from our central message and goal: not a vegan consumertopia but a world where every animal is safe and happy and free. A question that has come up recently is whether one can participate in our campaigns while continuing to shop at Chipotle -- which, after all, is one of the few fast food chains that provides a vegan option. We'll be offering a more detailed analysis later, but here are some preliminary reflections. Chicago VeganMania, one of the largest vegan events in the country, with thousands of attendees, is coming up in just a few days -- September 21. I was lucky enough to catch up with one of the founders and organizers of the event -- author, activist, and feminist agitator Marla Rose -- to discuss the process of organizing such a huge event, dealing with in-fighting, and the interplay between feminism and animal rights. "How do we give life to an idea?" Lauren Gazzola was a lead organizer of one of the most successful campaigns in the history of animal rights - Stop Huntingdon Animal Cruelty. And at a talk this weekend, at the Animal Advocacy Museum in Los Angeles, she asked some important questions -- questions that, when asked, may lead us to surprising answers, about the problems of the modern animal rights movement.